As a customer service manager or representative, you know first hand just how important it is to provide quality, effective customer service – especially in today’s world where social media dominates. Though these media platforms have undoubtedly played a monumental role in the changing landscape of customer service communication, customer’s wants and needs remain relatively unchanged. They want to be heard, understood, and respected and they want it done on their own terms. Esteban Kolsky, founder of thinkJar, a Customer Strategy consulting and think tank, notes that it is the customers themselves who must choose and validate their customer experience. Unlike the old concept that the customer experience is offered by the company, this new way of thinking promotes fact that – if a company wishes to provide optimal customer service – they must build an all-inclusive infrastructure that allows the customer to choose what experience they want, when they want, and how they want. This means that companies need to combine cloud, mobile, social, apps, data science, customer relationship management (CMR), community platforms and other technological solutions to ensure that they are able to give the customer the best option and best interaction possible. 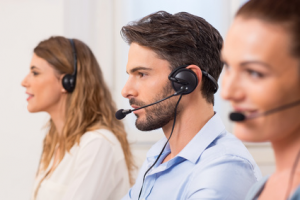 Despite the growing importance of providing options for customers to choose from, it is still critical that companies employ trained, expert customer service representatives. Unfortunately, many companies are focusing too hard on staying up with emerging social trends rather than investing in training and motivating their employees on how to effectively operate across all customer interaction platforms. More than 85-percent of social media service interactions are escalated to other channels, like human-to-human interactions, which makes the importance of having qualified customer service representatives even more relevant. With the demand for social and technological customer service initiatives growing, the importance of traditional, critical customer service strategies, like soft skills, are becoming increasingly undermined. A survey conducted by Kolsky found that more than half of today’s consumers are willing to pay more for a product or service if they are guaranteed a positive experience. Furthermore, 84-percent of consumers get frustrated when the agent doesn’t provide the information or assistance they are seeking. This type of negative experience leads to various consequences including the fact that 13-percent of frustrated customers will tell at least 15 other people of their unhappiness, one out of every 26 customers will complain, and 91-percent of unhappy customers who are non-complainers simply stop giving the company their business. Conversely, when a customer is happy and had a positive customer experience, there is a 72-percent chance that they will spread the word to at least six people that the business has excellent customer service. So, while supplementing your customer service strategies with emerging trends and technologies is undoubtedly beneficial, providing a quality human-to-human interaction still takes precedence. The following list provides 6 tips to help you and your team provide exceptional customer service. Though providing timely and effective reactions to customer’s wants and needs continues to be of great relevance, it’s now more important than ever to be proactive. By anticipating customer communication regarding product issues, updates, upgrades, business events, help, and support, you can ensure that you’re always offering the best service possible. Perhaps the best way to provide proactive customer support is to request feedback from customers by giving them a wealth of opportunities to offer advice on ways your products or services could be improved. Not only will this feedback help you monitor consumer trends, but it’s also an ideal way to build a trustworthy, loyal relationship with your clients. As a customer service expert, one of your main tasks is working with your customers to develop a solution to their problem – whatever it may be. Instead of using generic strategies that make customers feel like they are just another number, be caring and creative in your problem solving skills. The first step in doing this is to ensure you understand their chief complaint, repeating it back to them if necessary. From here, you can offer different solutions that fit his or her specific need. Offering different options will give them the power to choose the solution they feel best resolves their issue and they will feel valued in the fact that you care about and understand their problem. More than 75-percent of customers believe it takes too long to reach a live agent, which leads 67-percent of customers hang up the phone out of frustration. Not only do these statistics highlight the need for customer service representatives to be easily reachable, but they also signify the growing demand for shorter wait times. In fact, approximately 69-percent of customers define good customer service as having their problem or concern resolved in a quick, efficient manner. Therefore, in order to provide reliable customer service, it is imperative that you (or the employees that work closely with customers) have the proper authorization, training, and resources you’ll need to offer quick, effective solutions. Expressing a lack of empathy is the quickest way to sour a customer service interaction. Thus, while it is important to understand what the customer’s chief complaint is, it’s also critical to recognize how this issue is making your customer feel. After determining what their problem is, take a second to put yourself if their shoes. How would you feel if you were put in a similar situation? What would be your ideal outcome? How would you want to be treated by the customer service representative? By asking yourself these questions, you can channel empathy that will allow you to better connect with the customer and come to a fair and desirable resolution. As a customer service representative, you probably know how easy it can be to get caught up in the transactional nature of modern sales models. This, however, should not be an excuse for providing sub-par customer service. If you feel yourself slipping into this routine nature, make a point of shifting your focus to the real-time relationship you’re forming with the customer, not just the superficial transaction process. Again, ask yourself “what would make me feel valued by my company?” Would you appreciate a handwritten letter thanking you for your business or feedback? Would you enjoy a personal phone greeting? Maybe you would feel more valued by something as simple as a representative referring to you by your name. By developing creative, personal ways to reach out to the individuals that make your business a success, you can build lasting and positive relationships through quality customer service. As insignificant as it may seem, having a sense of humor is one of the best traits a customer service representative can exemplify. Because customers are often contacting you with a problem, it’s not uncommon for the customer service interaction to become stressful. However, if you’re able to show the customer that you understand their frustration, have empathy for their situation, and confidently express your ability to resolve the issue, then having a touch of humor can help add yet another touch of positivity to the interaction. It’s important to note, though, that humor will not apply not every customer, nor shall it be used in every interaction. But by knowing how to read your client and listening attentively to their concerns, you will be able to know when it’s ok to laugh along with the customer and when sticking to a serious tone is best. Bryan Peterson is a freelance writer that contributes content to multiple online publications. Bryan’s focus includes writing about technology, business management and anything that interests him. Hayden is committed to helping individuals discover new ideas and expand their horizons. This entry was posted in Articles, Tips and Tricks and tagged customer service, customer service expert, customer service training. Bookmark the permalink. The wonderful old adage “it is cheaper to keep a customer than get a new one” applies here. Not only do you keep the customer but they can evangelize for your business. A happy customer is the customer that provides referrals. I agree a sense of humour is very important, lightens the mood and shows confidence you can fix the problem. I need a lot to improve the service area of my company. Thank you for the tips! I am deploying a customer care system in my company and these tips have helped me a lot. Thanks for this! Oops, very good, I’m checking some articles, because I recently took on a new challenge that is to centralize a second level service, aiming to reduce costs, as we are going through a difficult time here in Brazil. I’m making some notes here, thanks for the help. Very great and helpful . A happy customer is the customer that provides referrals. Being pro active is a huge step. Very nice post! Maybe I will improve it in my company. It’s difficult or expensive? I want to know about the prices. Hello! Thanks a lot for your message. Very interesting all this content for who wanna be better in the customers services.